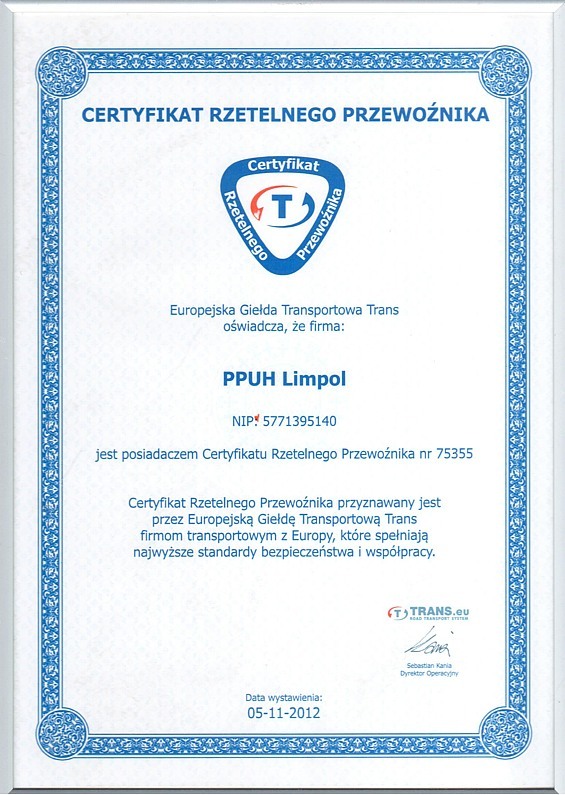 LIMPOL, a company seated in Koziegłówki (Southern Poland), provides services within the scope of domestic and international transport. 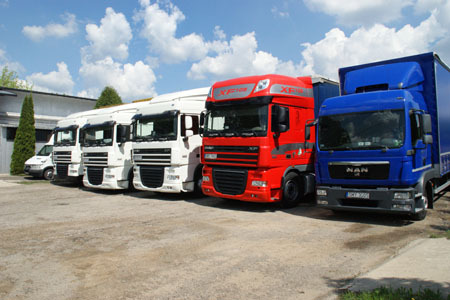 We specialize in FTL transport within the territory of Poland and Western Europe. Our main destinations are: Germany, France, and the Benelux countries. We are open to cooperation in other parts of the world. 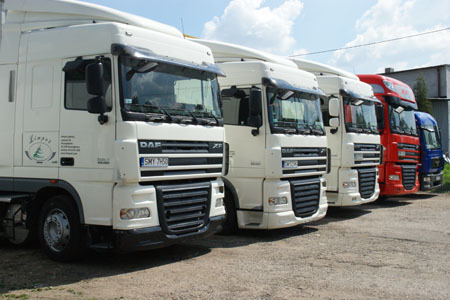 Our company possesses its own new fleet of semi-trailer trucks (truck + 24 T or MEGA semi-trailer), which allows for transporting a wide range of loads and provides a great choice of loading possibilities. Our company is a guarantee of professional and reliable services provided by our forwarders and drivers, thanks to their impressive qualifications and experience. Working with us means timely deliveries, load security and a guarantee of a job well done! To obtain a quotation for transport in any given direction, please contact our office directly. In accordance with the RODO, we process your personal data in order to implement contracts, orders, orders and for the company's own needs.